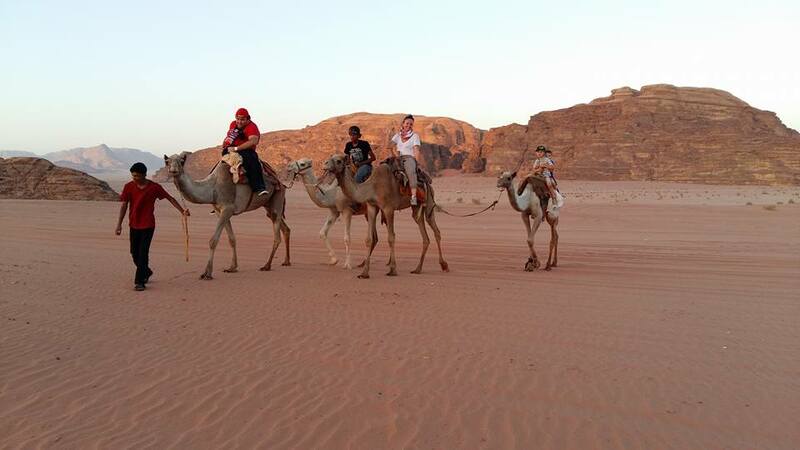 Only so few can imagine a day where they get to watch a brilliant yellow sun dip below the red sandstone mountains of Wadi Rum, on the back of a camel, and even less can say they got to do it with their children! That was me, and it was a moment that I will not soon forget. It started with 7 day trip to Jordan with my mum and my boys, who were 5 and 3 at the time. Most of my friends and family thought I was crazy to be taking my children to the Middle East and my Step-dad even urged my (now ex-) husband to do something to ensure I was not able to take them out of the country. This fear about a place that no one I knew had been to, drove me to want to go even more! And we did. And every-single day of it was full of experiences beyond belief! 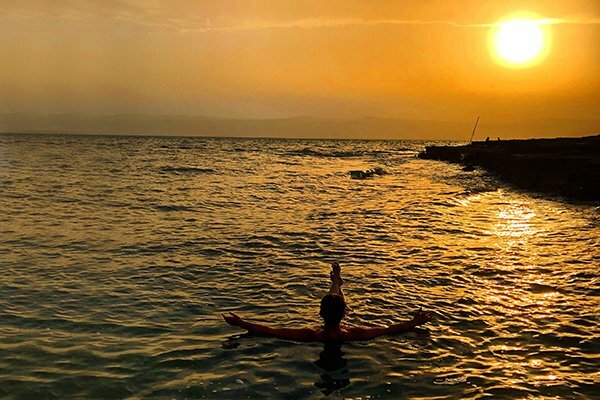 None of which found me in and situation where I did not feel safe in Jordan. It started with a tour of Amman and just surviving crossing the street was an adventure in itself! 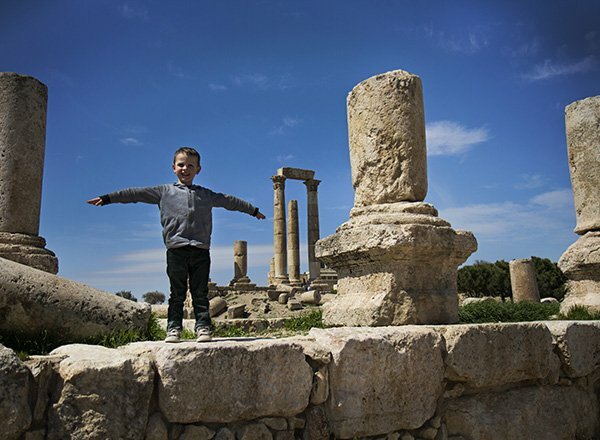 My kids got to run and play on jebel Al-Qaia (known to tourists as the Citadel), and I constantly wondered where all the people were. Never have I visited such amazing places that were devoid of tourists. We then went to Jerash, who’s colonnaded streets still bear the stones that were built by the Romans. And again, no one was there! I could not believe it. Nowhere did I see any unrest or reason to fear, I had a guide and driver who were seeing to my every need (including those of my kids) and we were walking the streets of history, my kids too young to comprehend, but me, I was soaking in every second of it as I knew it would so soon be only a memory. 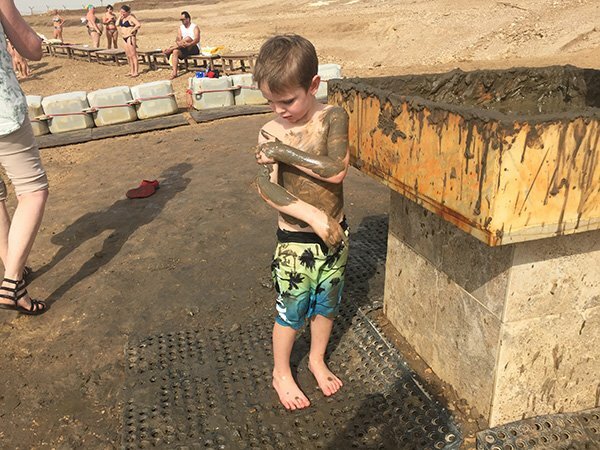 Jordan is also home to the lowest point on Earth, the Dead Sea, and while my oldest renamed it the “stinging sea” due to his scraped knees (from having too much run running around in Jerash), I felt the weightlessness of floating over 400 meters below sea level. Then came Petra, and as a lover of photography, i was ready! And it DID NOT disappoint! That moment where the Treasury becomes visible beyond the cliff walls of the Siq cannot be described in words, it has to be seen. It is a magical moment, one that I got to share, hand-in-hand with my 5 and 3 year olds, who quickly ran ahead when they saw the camels and the donkeys! Left with a moment for myself, I was in awe and it is no wonder that Petra has been awarded the title of one of the “new” seven wonders of the world! I am still amazed I got to capture this photo. It was something I could have only dreamed about before visiting Petra. With such a whirlwind week, wandering the amazing red rose city of Petra was not the end of the hilights that I found in Jordan. After a ride in the back of a 4×4 truck across the miles of empty sand of Wadi Rum, and a cup of sweet bedouin tea in the desert, I found myself atop a camel, who was slowly meandering towards the great ball of fire, as it set behind the distant cliffs, an end to another amazing day. It was just a moment, and one that went so fast, but one that I was able to share with my kids, and one I soon will not forget. 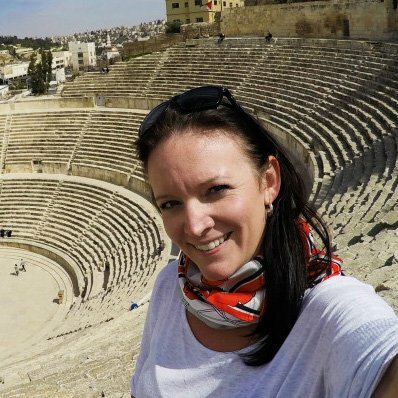 Since visiting Jordan in 2016 was a catalyst for change in my life, both personally and professionally, It was suggested that I should write about it for Yellow Zebra Safari’s competition for a Tanzania Safari.